Can you name the player who started the 1969-70 season turning out at inside-left for Wolves’ third team and ended it playing in the European Cup final? Our eyes widened a little the moment we received the question. Maybe yours have, too. The first reaction here, knowing that Richards, Doog and Co played in a UEFA Cup final rather than its grander brethren – and that was two years later – was to scratch our heads for the name of some prodigious kid who didn’t make it at Molineux, then moved on to hit the jackpot with Ajax or Benfica. Our second move was less gallant; we dived into the record books to see who the finalists were. And, with that discovery, the answer came quite quickly. But why on earth was Evan Williams, Celtic’s keeper in their 2-1 defeat against Feyenoord at the San Siro, ever playing at no 10 in a Wolves junior side? “It was probably injuries but I would never miss the chance to play outfield,” the Scot told us this week. “As a lad, I never wanted to be in goal but I was told to play there. “I think it was Ron Bradley who asked me to fill in at inside-left this one day for Wolves because they were struggling to fill the side at short notice. I jumped at the chance….I think I played about three times outfield for the club and always loved staying on in the afternoons to line up somewhere other than in goal in the five-a-side or seven-a-side games we had in the gymnasium. The source of the question that kicks off this article has an obscurity all of its own. As much as we would like to claim credit for doing the research in some dusty old programme or Express & Star, we instead have to thank a visiting professor from Liverpool John Moores University. Wolverhampton-born Rob Gandy, a Molineux season ticket holder exiled for the last 35 years on The Wirral, was an occasional reporter in those days for the town’s Bayliss News Agency. At other times, he would act as a ‘runner’ to more senior correspondents by racing off to nearby telephone kiosks and dictating their copy from lower-level Wolves matches to impatient sports desks. “I covered the Wolves third team match that day when Evan Williams played at no 10,” Rob told us. “I can’t remember who it was against but Atherstone or Alvechurch spring to mind. The game was at Castlecroft and Wolves won by a big score. ‘The schemer keeper’, as Charles Bamforth dubbed him in his book on the heroes of his who had emerged as last lines of defence at Molineux, was restricted by Fred Davies, Phil Parkes and then the ill-fated signing of Alan Boswell to 15 first-team appearances. He was gone in the autumn of the 1969-70. He could have joined Tommy Docherty’s Aston Villa but found the lure of his boyhood heroes Celtic too much when they came waving an £8,000 cheque. The deal meant Wolves recouped most of the £10,000 they invested in him in March, 1966, at a time when Ronnie Allen was only acting manager and the negotiations were seen through by chief scout Joe Gardiner. Only one photo with this article, for a change…..we didn’t want to give away Evan Williams’ identity too soon! The rest, to coin a phrase, is history. Williams became a legend at Parkhead and a coachload of Wolves fans from Tettenhall and Penn set off to cheer him on as Celtic beat Leeds in that season’s European Cup semi-final. 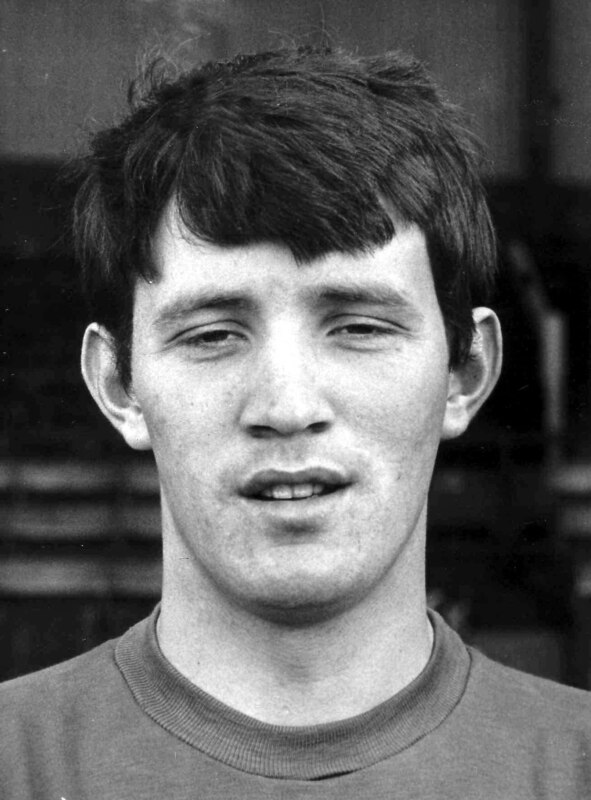 He performed well enough in the final, too, only for an Ove Kindvall goal to give Feyenoord victory in extra-time after Tommy Gemmell had opened the scoring for the Scots. * Our thanks to Rob Gandy for bringing us this story. Wolves Heroes followers will read more of his recollections in a future article. Posted on: Wednesday, July 23rd, 2014.